Most of my kids' toys are in the play area of our basement. The kids aren't allowed in the basement because the last time they went down there, they dumped ALL of the toys out. ALL OF THEM. That happened just about a month after I spent countless hours painstakingly organizing all of the toys into labeled boxes. Since Toypocalypse, the kids only get to play with the toys that were already in the main level of our house. That's about 10% of their toys. They have legos, playdough, the sensory bean box, tractors, Shopkins, and a few other assorted sets and random toys. It's been about 6 months (because I just can't bring myself to go downstairs and face the insanity), and they have barely noticed. What that tells me is that it's quality, not quantity that matters when it comes to kids' toys. So guess what? I'm going to be having a garage sale (or rummage sale or tag sale depending on where you're from) and selling a LOT of toys! Also, I'm going to be a lot more selective about bringing toys into the house. (Unless they're for me...I collect Vintage Fisher Price toys) As far as toys that the kids play with, I have a few requirements. With that in mind, I put together a list of awesome educational toys I found on Etsy that kids AND their parents will love. Bonus: not a single one of these toys needs batteries! 1. 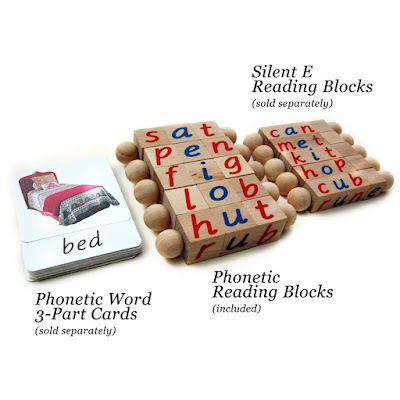 These Montessori Reading Blocks from Quality Montessori are a great tool for beginning readers as they learn how to read words, rhyme, etc. 2. 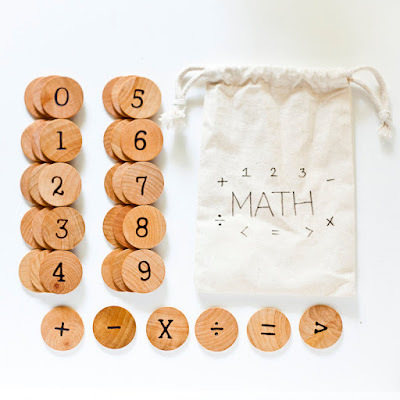 This Wood Math Set from Tree Fort Toys is such a fun way to work on math! 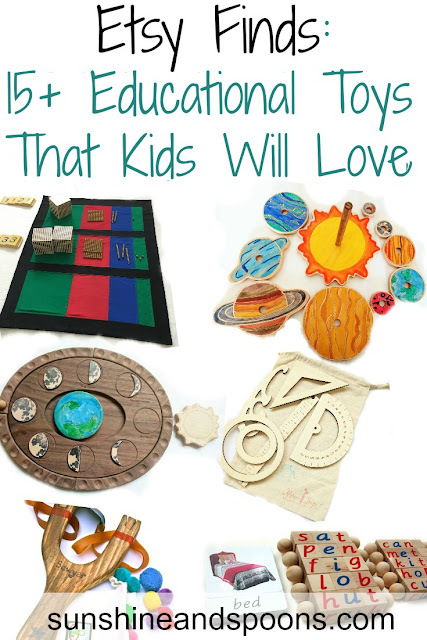 Many kids learn best by using something tangible and these discs can help with that. 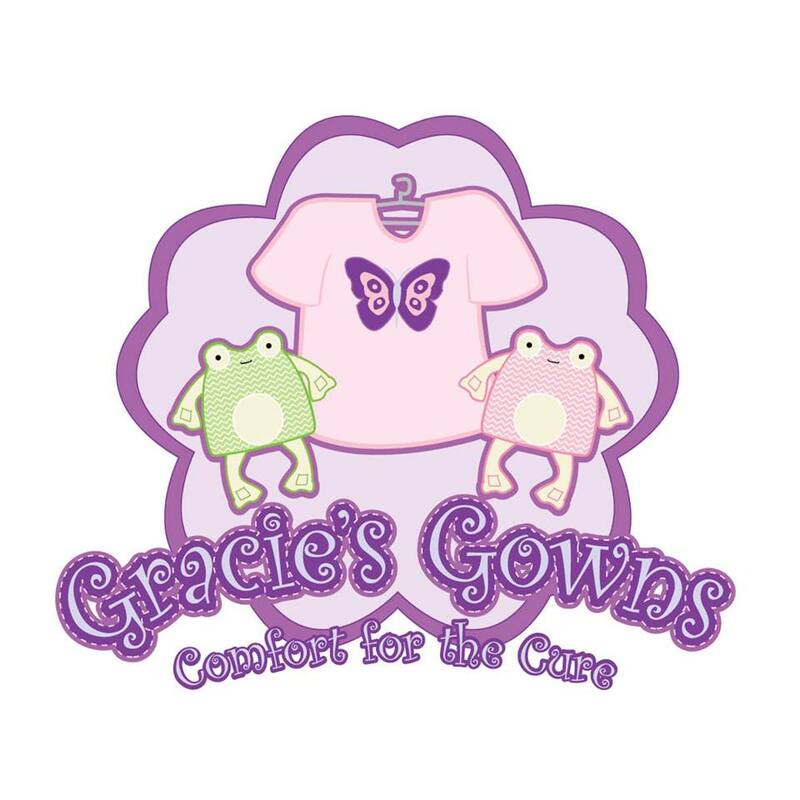 Use the coupon code "SUNSHINEANDSPOONS" to get 10% off your purchase. 3. 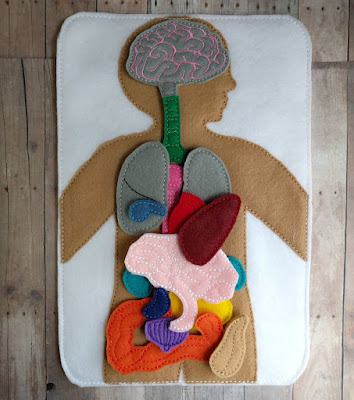 What better way to learn the anatomy of the human body than with this Anatomy Play Set from Shop Orange Blossoms? It includes 14 organs for kids to place in the correct location. 4. 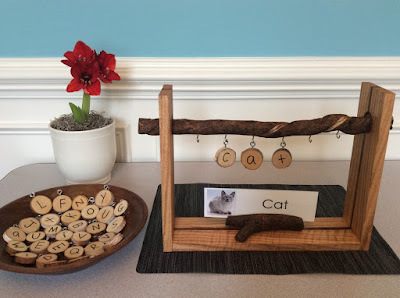 This Wood Spelling Tree Set from Hugglebunnies makes it easy for kids to practice their spelling. 5. 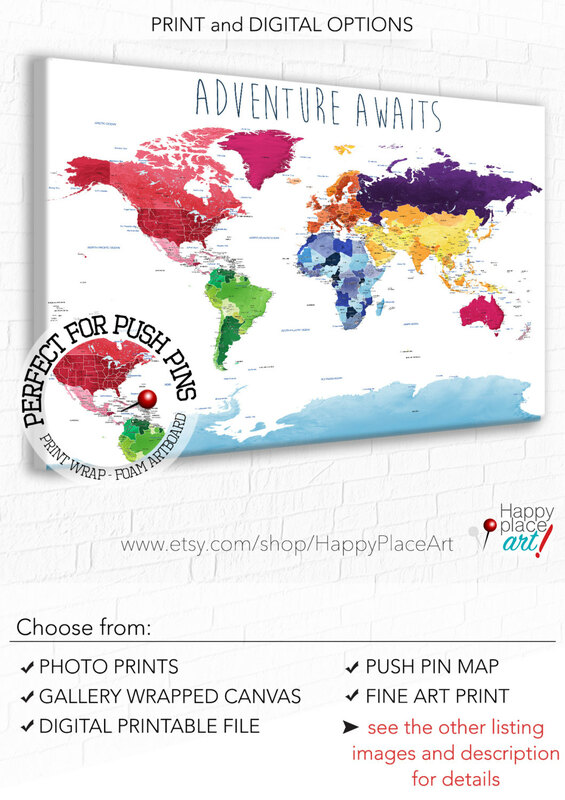 This Educational World Map from Happy Place Art is available in print form or you can download and have it printed yourself. Get 10% off with the coupon code "SAS10" through September 15th. 6. 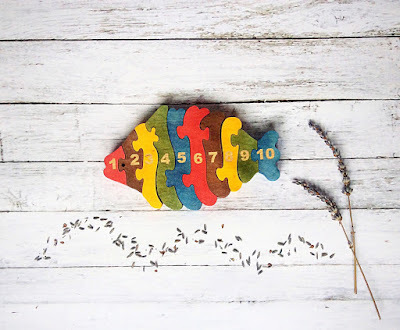 This Wooden Fish Puzzle from Pawoo Toys is a fun way for little ones to practice their motor skills with a puzzle while also learning to count to ten. Get 10% off with the coupon code "PAWOO10." 7. 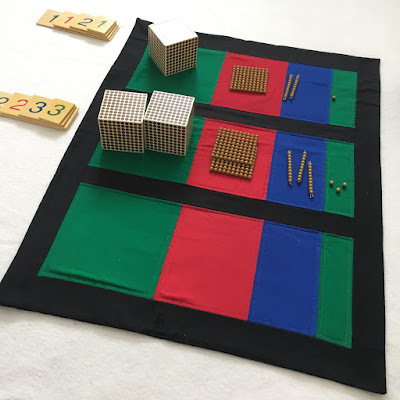 This Montessori Equation Mat from Jenn Sews Felt helps kids learn how to break numbers down along with other math skills. 8. 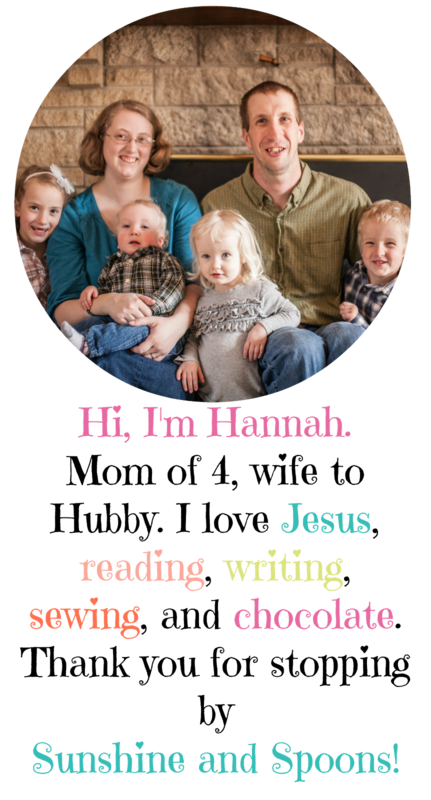 Kids (and adults!) 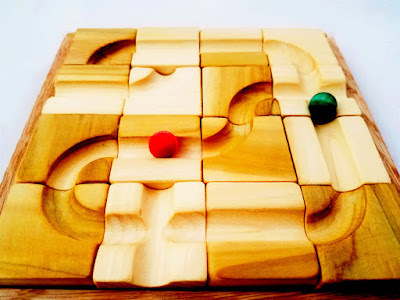 can have fun designing their own marble maze with this Wooden Marble Maze Set from Mirus Toys. 9. 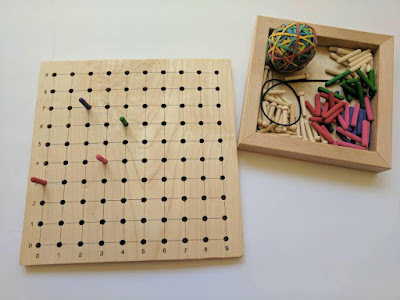 Kids can use this Graphing Board from Mirus Toys with rubber bands or pegs, plus it has a dry erase surface, making it multifunctional. 10. 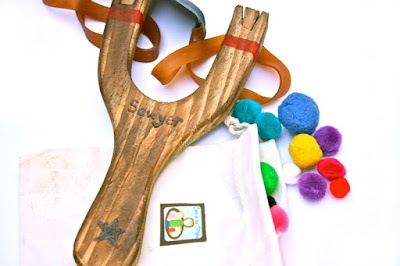 This slingshot from Cake in the Morn can be personalized with your child's name plus a symbol of their choice on the handle. It also comes with a bag of colorful pom poms for kids to practice with. 11. 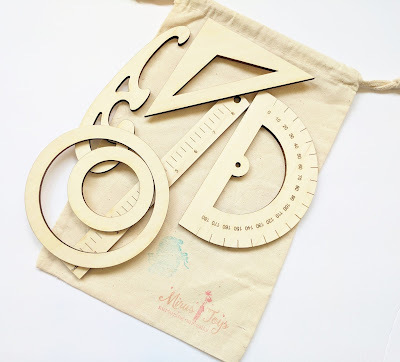 Kids can learn how to design and draft plans with this Wooden Drafting Kit from Mirus Toys. 12. This large felt world map from Em Is Crafty teaches kids to identify the continents. The continent labels can be made in English, Spanish, or French. Get $5 off with the coupon code "Sunshine" through the end of August. 13. 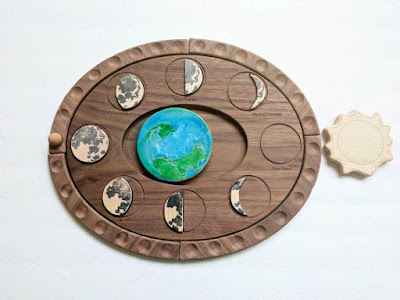 This wooden moon phase puzzle from Mirus Toys is a great way for kids to learn how the moon changes. The puzzle includes a "Moon Watcher" booklet. 14. 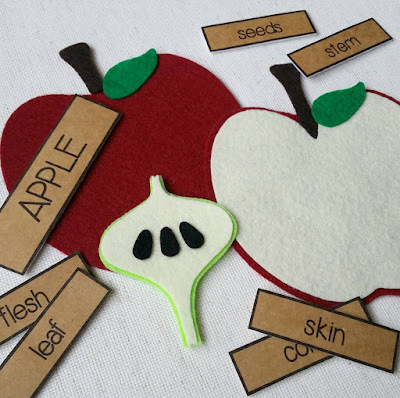 Kids can build and label their own apple with this felt apple from Circle Time Designs. 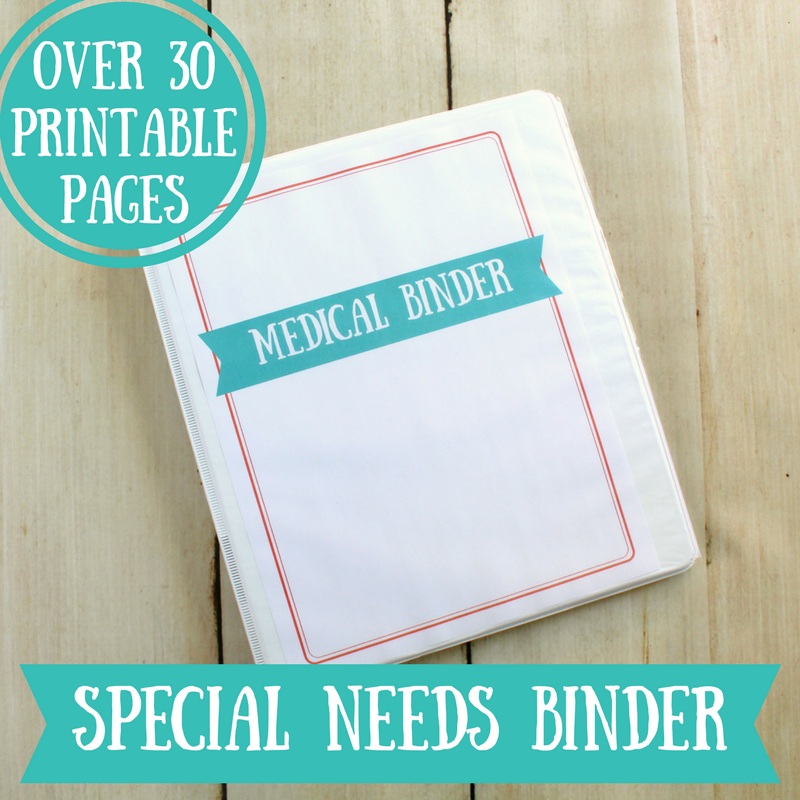 It includes felt backed laminated labels. 15. 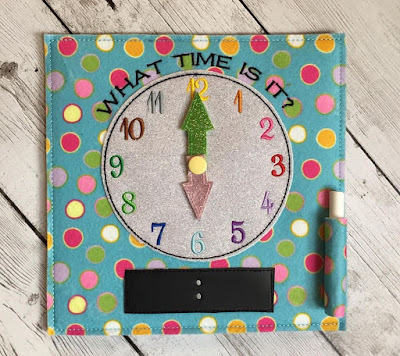 This Learn to Tell Time Quiet Book Page from The ADD Hippie can become a part of your child's quiet book or be used as a standalone learning tool. Get 10% off with the coupon code "Sunshine10." 16. 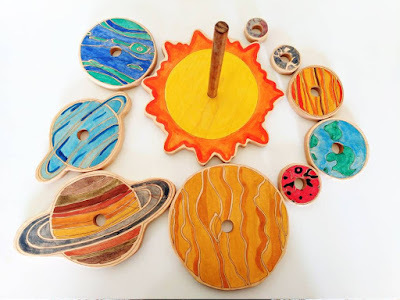 Help kids learn what the planets look like and what order they go in with this wooden planet stacking toy from Mirus Toys. I'd love to hear which toy from this list was your favorite! Leave a comment and let me know.